However for the first time in my life, I felt I should simply not bother on anything and l should just forget I have two blogs that need to be actively fed with new recipes. Infact off late my quality of recipes have gone very bad. I no longer seem to have the zeal to think for much interesting dishes, dishes that hardly would get my family's fancy. If all I want to make is a simply chutney, I just do. Life is not that simple right, we carry on, carry on with the thought that this might be a freak period in life that comes to everybody, and one fine day you wake up and think it was just a dream. Anyway reasons are quite simple, work life and family life has become so hectic. Though it wasn't as hectic it was some seven summers back, when we had infant babies on hand, yet I blogged non stop on daily basis. Maybe I need to wait for my mojo to come back. I strongly believe, what goes, comes back. So with that thought in mind, I present the Tame the Yeast Challenge, we took upon on ourselves. 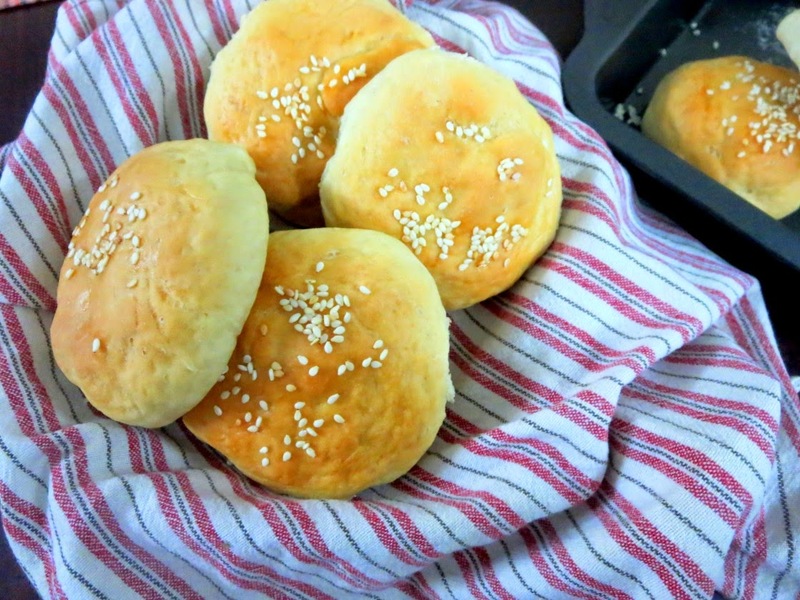 This month we had Gayathri and Priya Suresh Challenging us to make some Eggless Burger Buns. Unfortunately I didn't find enough time to make the second one. 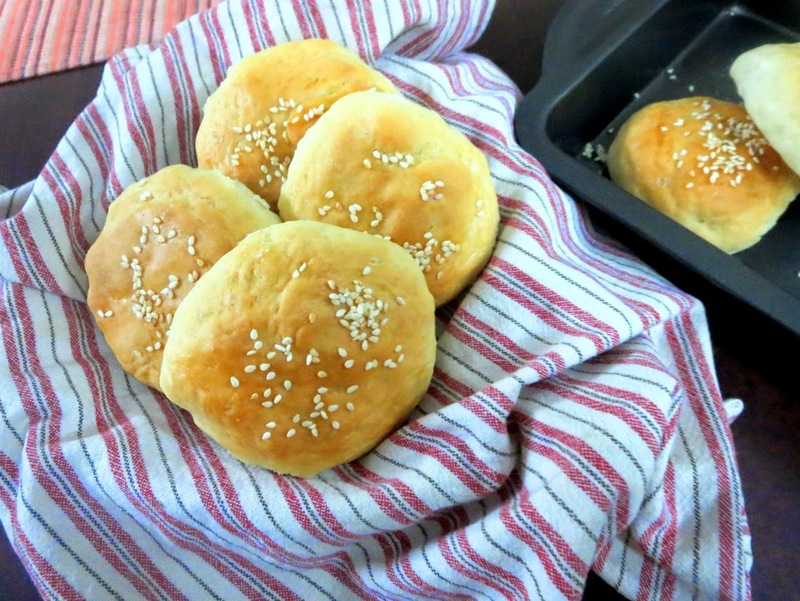 So I made Gayathri's Eggless Burger Buns and planned on some long pending versions of dishes with these burgers. 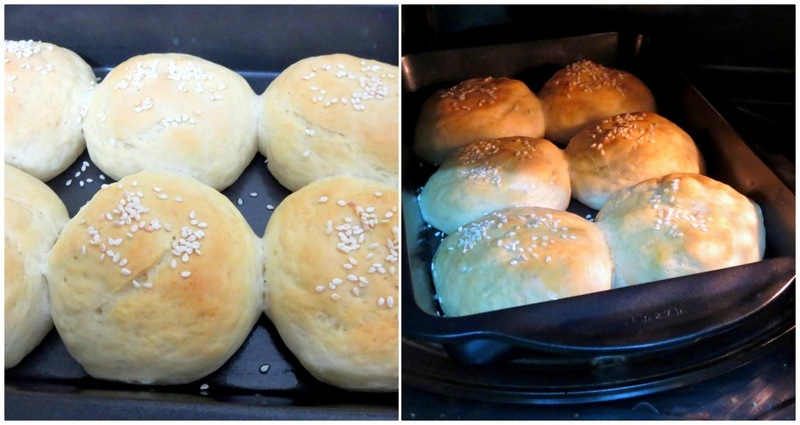 The recipe was supposed to make 4 buns, however I made smaller ones and got 6 buns. Konda as always, loved it so much and wouldn't let me get on with the recipes I had in mind. I told her that I would surely be baking these again. Konda was all for eating these as such, however I told her, with the given time I had on hand, I simply couldn't afford to bake another batch right away. 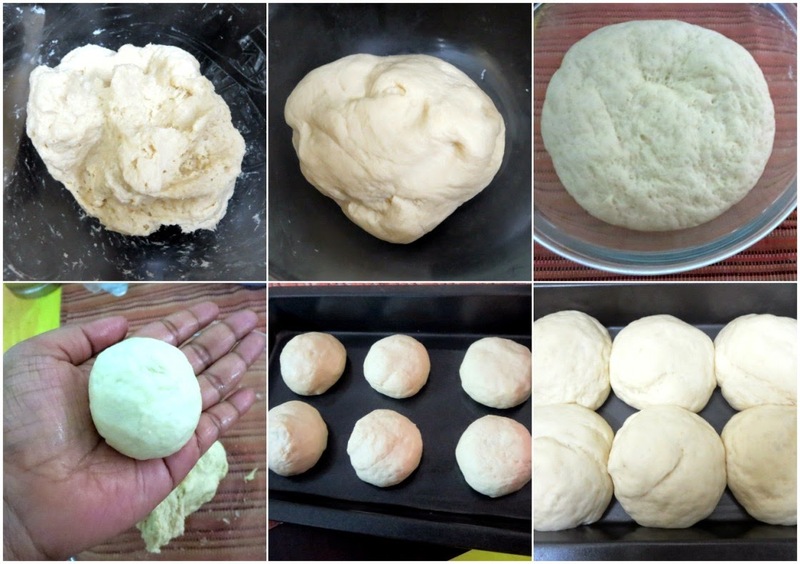 Continue kneading till you get a soft pliable dough. This takes about 10 - 15 mins. 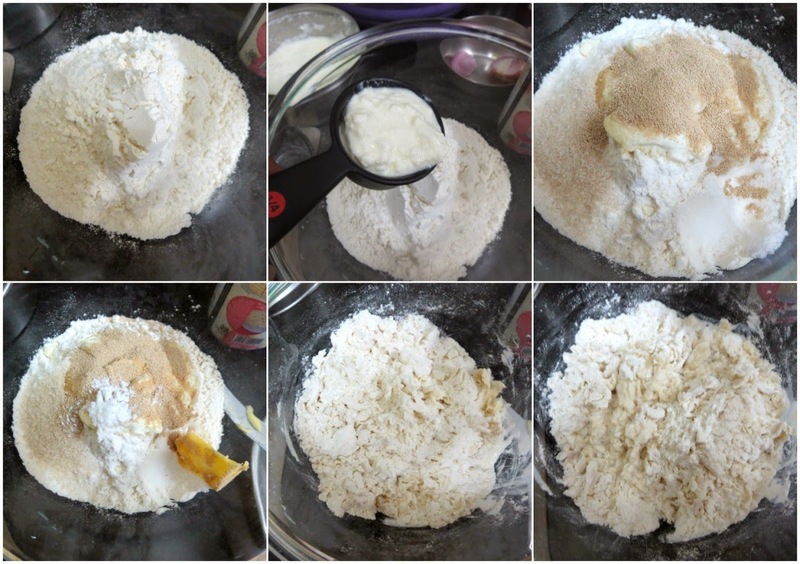 This is to ensure gluten is developed. The temperature you bake also depends on the baking tray you use. If you use black tray, bake it at lower temperature. The recipe asks for 160C, however mine has only 170C. Also I was not planning on making typical burgers but something else, so for that sake, I had to make these smaller. Come back tomorrow to check out what all I made!